Desertinho Atlantic - Whale observations versus Whale watching. What is Whale observations about? Whale observations, my main goal, is about professional whale research because there is a significant reason for it. Most of the time I do research on whale behaviour, whale migration patterns, and whale condition in general. So I do know exactly how whales behave in their natural environment. On the other hand I do the same whale observations when a whale is hurt, starts to beach, or needs help. I’ am experienced in seamammal behaviour and rescue. What is Whale watching about? Whale watching is important these days when it is done by international rules and when it is done by professionals. Unfortunately not all Atlantic whale watching compagnies are working by these international rules. 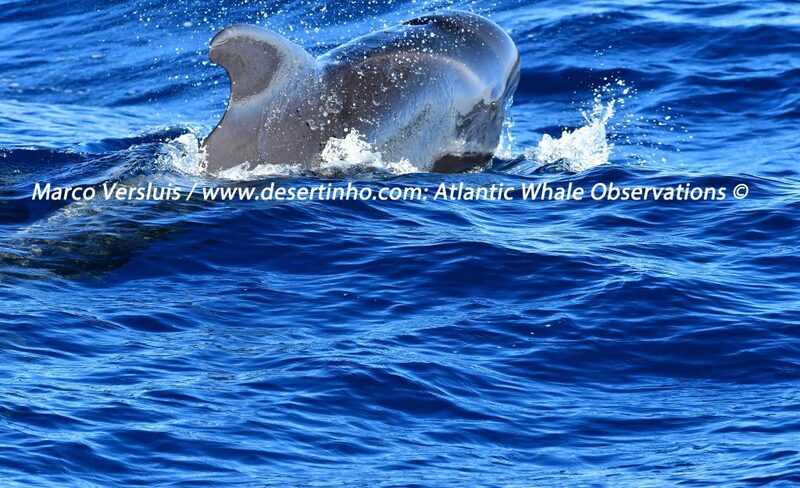 But, I can give you clear information about the best whale watching companies on the Atlantic. Please get in contact with me for that by using the Linkedin connector at the end of this page. 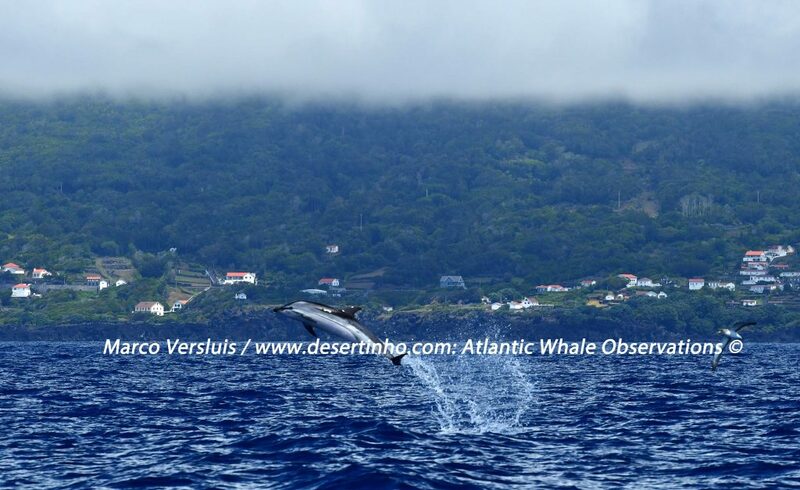 The main reason why I join several whale watching compagnies on the Atlantic is because I want to share my knowledge with them and on the otherhand I want to learn from them. All together this package makes sense to me and it helps to save whales for our future generations. Finally, The photo on this page is about an Atlantic bottlenose dolphin. One of my favorite photos of a great dolphin. 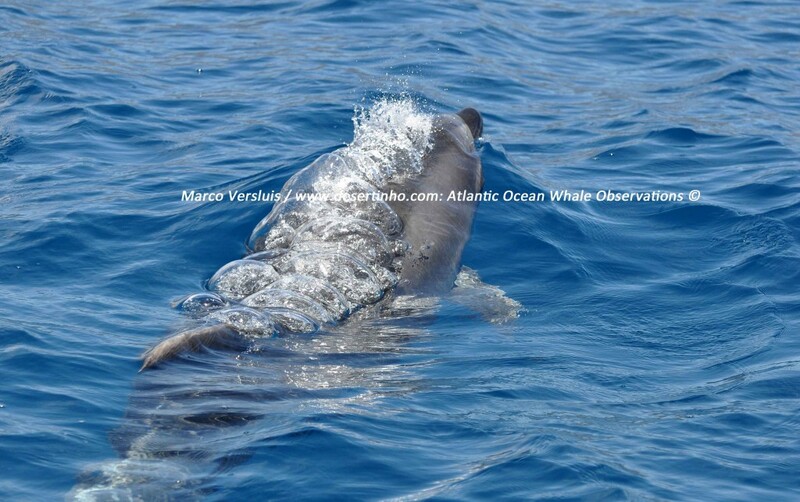 She was just a few meters from my boat in Madeira (Canical). Wat zijn Walvis observaties? Walvis observaties houden in dat ik, als walvis deskundige, professioneel onderzoek doe naar walvissen vanwege diverse redenen. Mijn walvis observaties bestaan uit onderzoek naar: Walvis gedrag, migratie routes, en hun conditie. Door mijn ervaring herken ik walvis gedrag, en hun gezondheid, in hun natuurlijke leefomgeving. Deze walvis observaties doe ik vooral in het specifieke geval van een gewonde walvis, een dreigende walvis stranding, of een walvis in nood.